Trolls are cyber equivalents of traditional bullies who make online gaming cyberbullying experiences when they disrupt video games, according to a two-part article published in April and May 2016 by VIRTUS® Online. Sameer Hinduja, Professor in the School of Criminology and Criminal Justice at Florida Atlantic University in Boca Raton, brings 14 years of research to both articles. He culls data from co-directing the Cyberbullying Research Center, co-publishing articles and books, and co-surveying over 14,000 youths with Justin Patchin, University of Wisconsin-Eau Claire Professor. “Willful and repeated harm inflicted through the use of computers, cell phones, and other electronic devices” defines cyber, digital, electronic, Internet, mobile, online and text bullying. Dr. Hinduja examines teens using game consoles and handheld devices to play cyber-bullyable boxed games, digital downloads, free apps, “free-to-play” games, social networking games and subscriptions. "Report Cyberbullying" page is "constantly updated." Engaging in dialogue with a cyber troll is not an effective strategy. Actions such as blocking, ignoring and reporting cyber trolls are effective strategies. Wikipe-tan, personification of Wikipedia, was created January 2006 by editor then known as Kasuga. Sites such as CommonSenseMedia.org keep adults vigilant of online gaming cyberbullying by reviewing apps, books, games, movies, music, TV shows and websites 2- to 18-year-olds access. They let parents identify video games that youths can play with peers and, for bonding over shared interests that sustain families, with their fathers and mothers. StaySafeOnline.org makes information, to reinforce and supplement CommonSenseMedia.org, available for adults to maintain secure internet presences for their businesses, their families, their peers and their students. It notes the importance of promoting Data Privacy Day every January 28th, National Cyber Security Awareness Month every October and World Password Day every May 5th. Dr. Hinduja observes that youths benefit from gentle reminders of blocking, ignoring and reporting emotional button-pushing trolls and from time limits on video game playing hours. The second part of the article entitled “Preventing Cyberbullying in Online Gaming” by Dr. Hinduja provides clear information on preventing and suppressing online gaming cyberbullying experiences. ESRB.org, site of the Entertainment Software Rating Board, qualifies as a respected source for third party rating systems on age-appropriate categories, content descriptors and interactive elements. Dr. Hinduja reveals that hackers and trolls can make playing video games unenjoyable and unsafe even when categories and content do not seem age- or subject-inappropriate. He states that parents will be less anxious and youths less vulnerable when cheats, modified content and functions, shortcuts, and text and voice chats are disallowed. Video games tend to go safest and smoothest with people already in the players' personal lives, not with hackers, trolls, web-ragers: the Strangers on the Internet. “About Us.” Cyberbullying Research Center > Connect. “ESRB Ratings Guide.” Entertainment Software Rating Board ESRB.org > ESRB Ratings. Hinduja, Sameer. “Preventing Cyberbullying in Online Gambling, Part 1." VIRTUS® Online > Training > Training Bulletins > Protecting God’s Children for Adults. Hinduja, Sameer. “Preventing Cyberbullying in Online Gaming, Part 2.” VIRTUS® Online > Training > Training Bulletins > Protecting God’s Children for Adults. "I Want to Stay Safe Online." StaySafeOnline.org. Patchin, Justin W., and Sameer Hinduja. 2016. 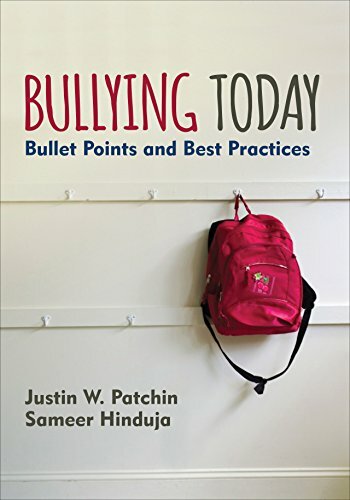 Bullying Today: Bullet Points and Best Practices. Thousand Oaks CA: Corwin Press. The advice to block, ignore and report cyber trolls is often phrased as "Do not feed the trolls." Cyber trolls feed on reactions. The authors state in their preface: "Like all of our work, 'Bullying Today' is grounded in research and guided by the practical experiences of those who confront bullying on a daily basis." katiem2, Thank you for your concern. You say it very well about the problem of putting up with bullies because of fear of their implied or overt threats of "my way or the highway!" This problem continues to escalate. I feel kids, young adults and adults who engage in online gaming groups feel they must ignore the pressures of bullying. Just as off line, people of all ages either don't know where to turn or who to report online gaming bullies. The isolation of playing typically in a bedroom, basement of other room alone and the fear of being banned from the game play a big role in the lack of reporting. 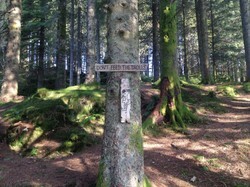 It is vital to do so. sandyspider, Thank you for calling my attention to the now-unavailable Justin Patchin video on rock, paper and scissors. Video games can attract the bullies and hot temper. Good article about this important subject. katiem2, It's hopeful that things will change with people like Sameer Hinduja and Justin Patchin making sure that their research has positive, practical applications and stays current and focused. SO very important. SO many people, parents, educators and administrators have a difficult time dealing with the reality of bullying. sandyspider, Amen! It's really impressive what Sameer Hinduja and Justin Patchin are doing, in terms of research and of reducing cyberbullying's incidence. Cyberbullying is a real problem. Mira, Cyberbullying is worse than traditional bullying because of its possible viral reaches (space-wide if we become an interplanetary species). Cybergames train players to detect and react quickly and smartly even though the cognitive development that the Internet fosters, according to research ongoing for decades in Virginia universities, is (of course) different from the traditional learning by in-your-face education and experiences (such as field trips and internships). If our future holds becoming an interplanetary species, we definitely will need to have cyberbullying in check and cyberlearning at maximum thrust.